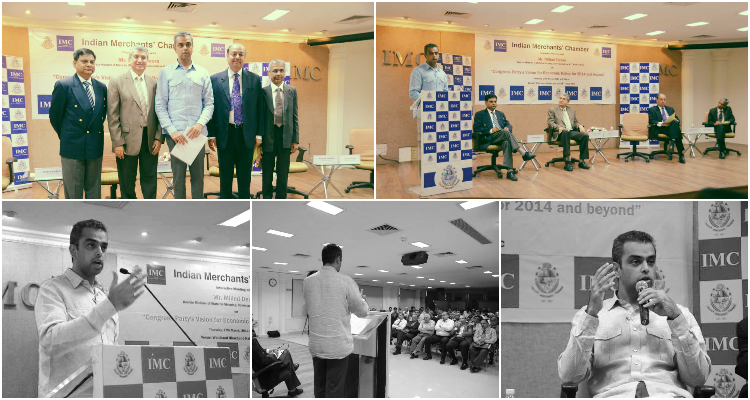 On 27th March 2014, Mr. Milind Deora delivered a lecture at Indian Merchants Chamber (IMC), Churchgate. Mr. Deora talked about the Economic Policies of the Congress Party for 2014. Mr. Deora was also delighted to be back at Indian Merchants Chamber (IMC).